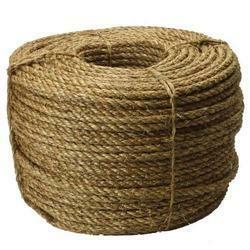 Providing you the best range of manila rope pulley, sisal rope, manila rope, jute rope, cable carrier and rope with effective & timely delivery. Backed by a team of experienced professionals, we are engaged in offering an excellent quality range of Manila Rope Pulley that finds comprehensive usage at coal mines.. 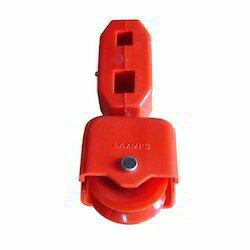 The offered pulley is manufactured by our vendors end using excellent quality raw material with the help of sophisticated technology. 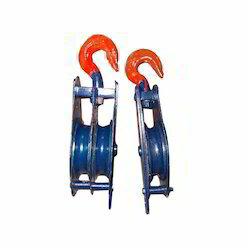 This rope pulley is available in varied specifications as per the demands of the clients. This pulley is rigorously checked on various quality parameters for assuring the complete flawlessness. Being one of the leading companies, we are engaged in offering an extensive range of Sisal Rope to meet the demands of our clients. All these products are available in different sizes, lengths and dimensions as per the needs of our customers. These ropes are highly efficient and can withstand harsh working conditions and ensure longer functional life. We have emerged as the leading company, affianced in offering a wide range of excellent quality Manila Rope that finds comprehensive usage at construction industry. The rope offered by us is precisely manufactured using high grade raw material and sophisticated technology by our experienced vendors. This rope is available in various specifications for accomplishing the varied requirements of our esteemed clients. This superior quality rope is offered to our esteemed clients at highly competitive prices. One of the most readily available fibres, Jute is also the most economical to use. 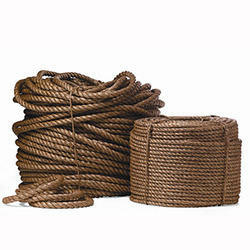 Jute ropes are easy to handle, hold knots securely and are an ideal choice when strength if not the primary requirement. Jute is natural, bio- degradable, eco-friendly, versatile and re-useable. Although its breaking strength is about 20% less than that of Manila, its limited stretch capacity and resistance to heat makes jute rope durable and long lasting. It is however, prone to damage from moisture and must be stored dry to avoid mildew. To cater variant requirements of our clients, we are offering a broad assortment of Electrical Hoist Crane Cable Carrier. This product is manufactured by our team of professionals using premium quality raw material under the supervision of quality professionals. This carrier offered by us is checked under the guidance of our quality inspectors to ensure the high-grade quality for our valued clients. Our products are safe in use, can withstand stress and resists shock. We have marked a distinct position in the market by providing a high quality range of Polypropylene Rope that finds wide usage at coal mines. Our offered rope is manufactured by utilizing excellent quality polypropylene and ultra-modern technology at our vendors end. 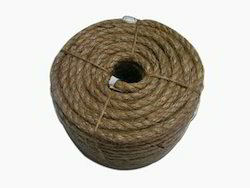 This rope is available in various sizes for meeting the specific demands of our esteemed clients. For making sure its high quality, this rope is stringently tested on various quality parameters.